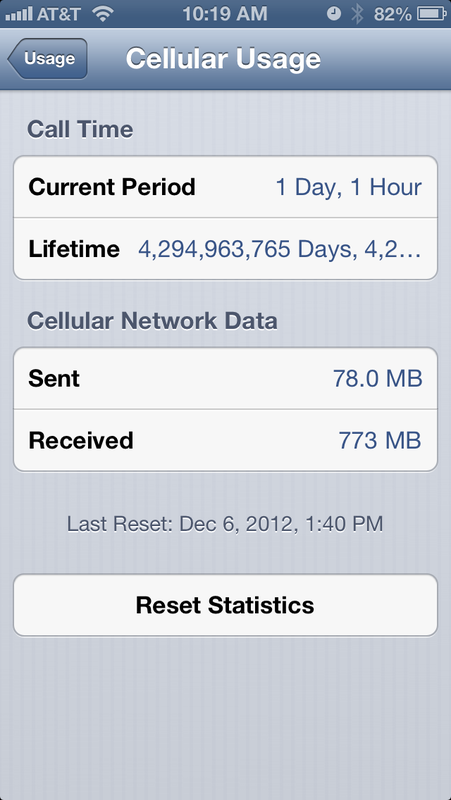 According to my phone, over its lifetime I’ve logged 4.29 billion days of call time. That’s 11.7 million years of call time. I do have free nights and weekends + roll over minutes so luckily that kind of usage hasn’t resulted in overage charges.